Well, hello, fall, you rascally summer-ender. 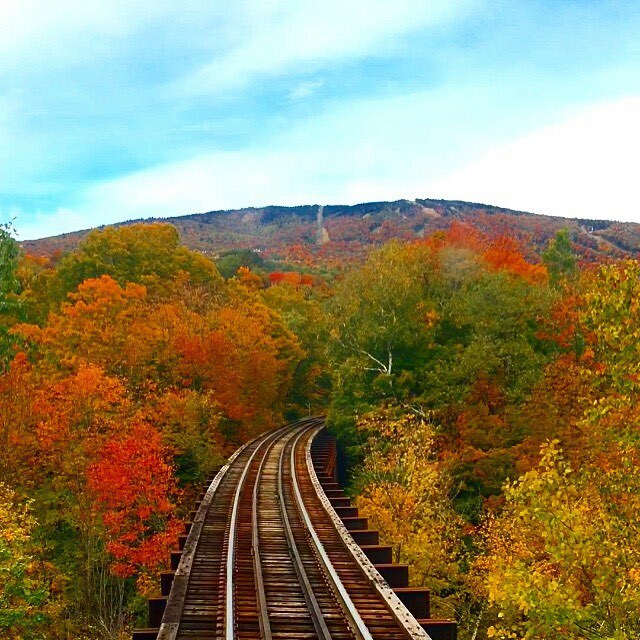 The temps are cooling, the leaves are changing, and we’re wondering what new activities we can put on our roster to enjoy the season. Enter the train ride. It’s a perfect activity for a solo day out, a date with a friend (or friendlier, if you know what I mean) and even a good choice for families. You get all the gorgeous views of an outdoor excursion but you also get, you know, a seat. And sometimes even some train snacks. 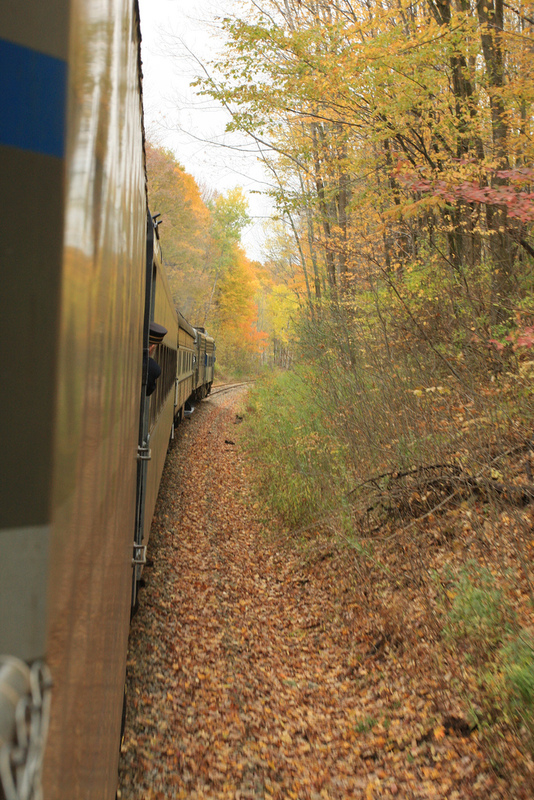 The train trips we selected go to small towns, resorts, across state lines and even directly up a mountain. 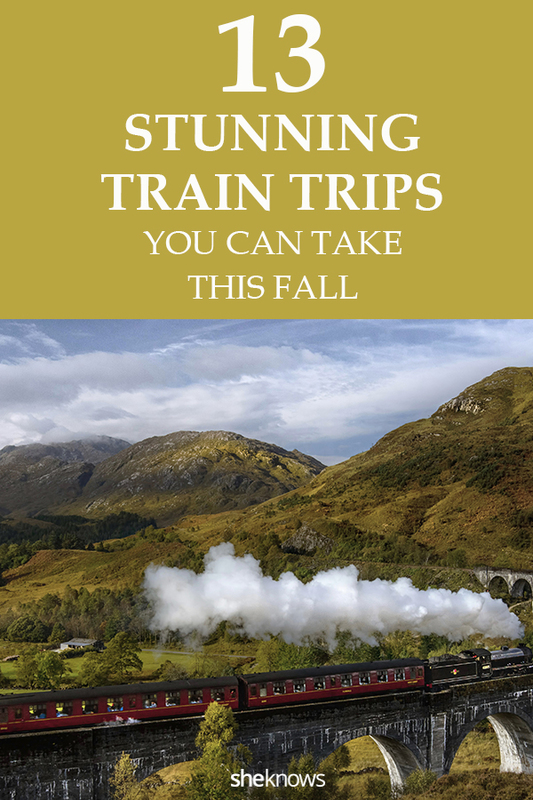 All of them feature fall foliage if you get the timing right, and some have Halloween activities — think pumpkin patches, murder mystery rides and haunted tours. 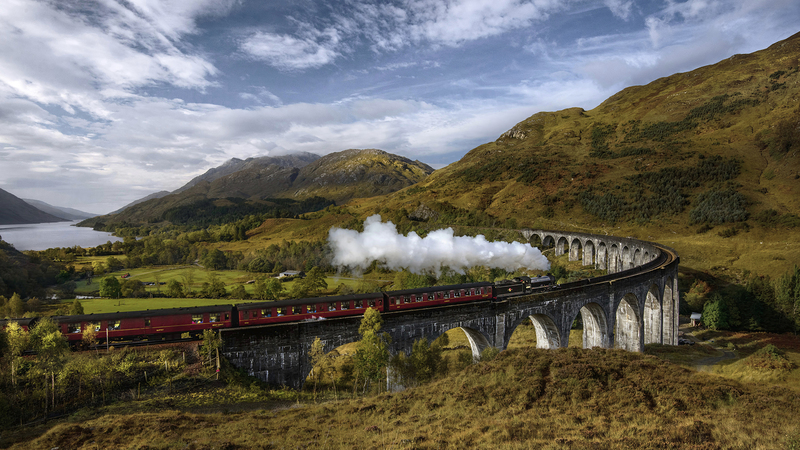 So check these out, buy a ticket, and try to resist the urge to call out, “Choo-choo!” when you get there. 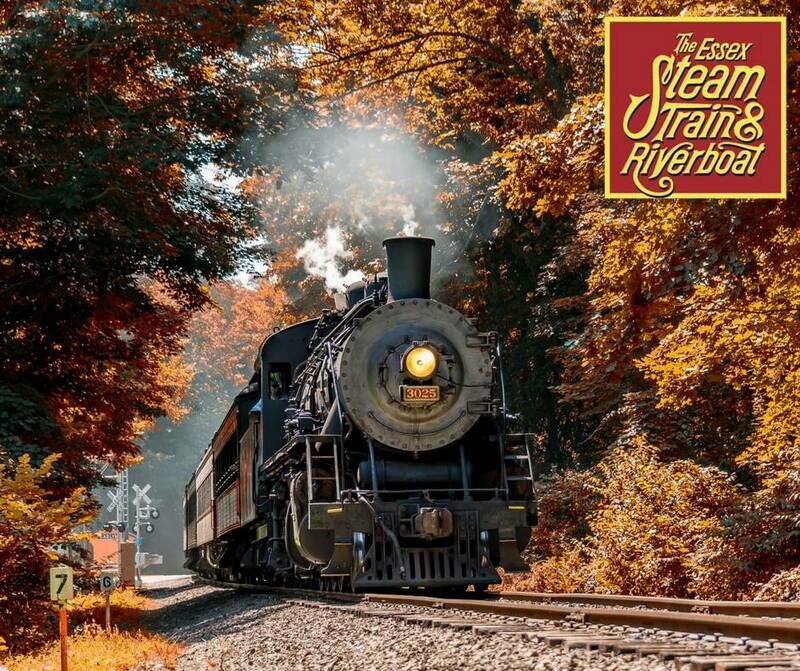 The route: Just 15 miles outside of Cleveland, the train rides through Cuyahoga National Valley National Park between Independence and Akron. The route: From Deep River to Chester through tidal wetlands with a diverse natural habitat. 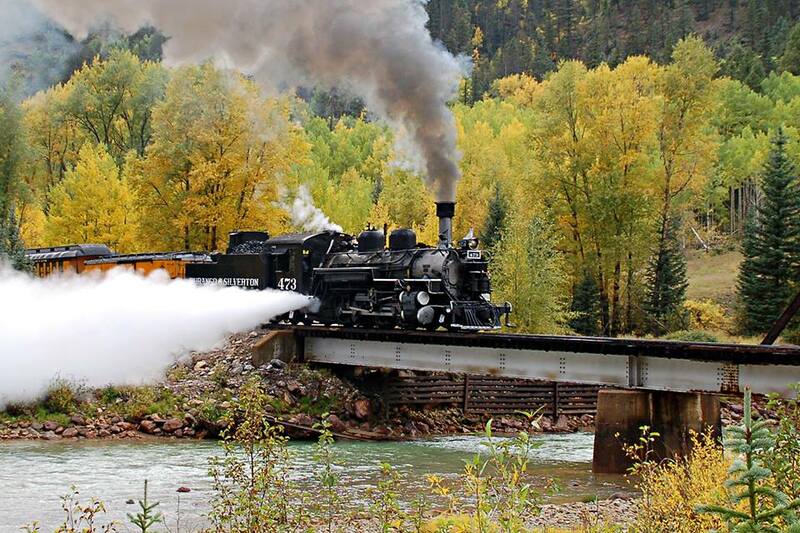 The route: A 45-minute train ride between Silverton and Durango, Colorado. The route: Several. 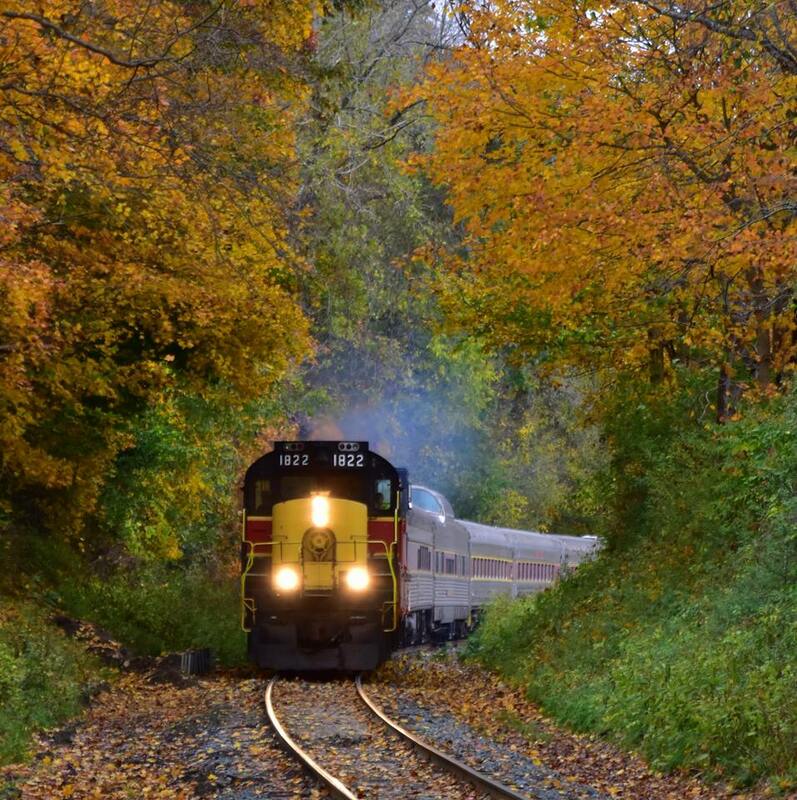 A trip through the Gorge is recommended for some of the best fall colors. 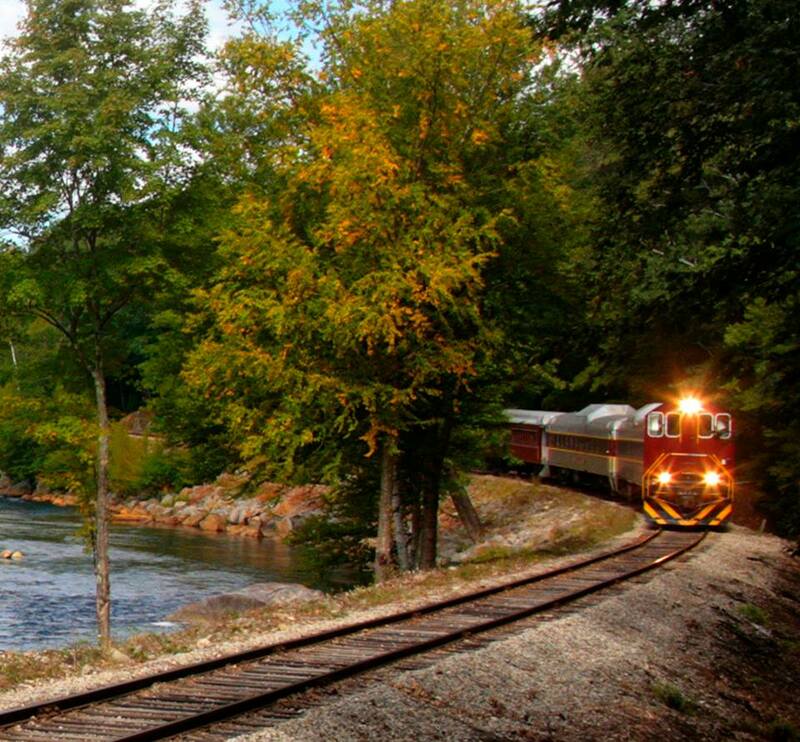 The route: Twenty-six miles from Blue Ridge to McCaysville along the Toccoa River. The route: Several. 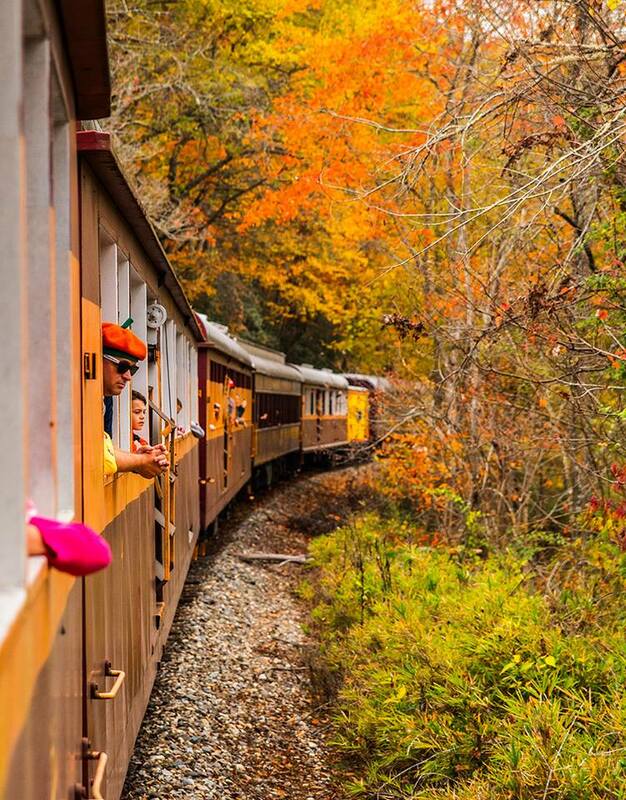 A two-hour train ride from Chester to Okemo Mountain Resort through gorgeous autumn colors for a layover where you can explore seems like a good choice. The route: Just over a one-hour ride along the Pemigewasset River in the White Mountains. The route: Williams, Arizona to the Grand Canyon. 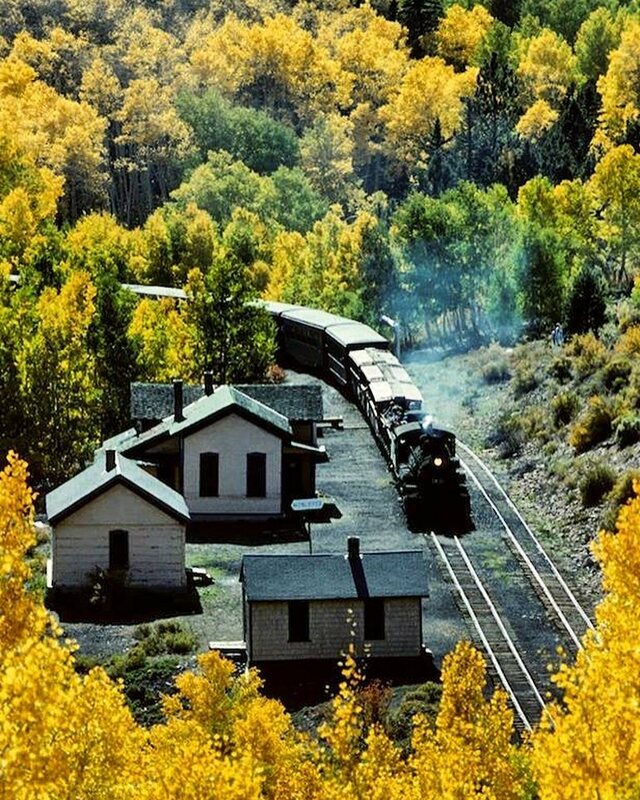 Spend several hours exploring what the Grand Canyon has to offer before hopping back on the train for a return trip. 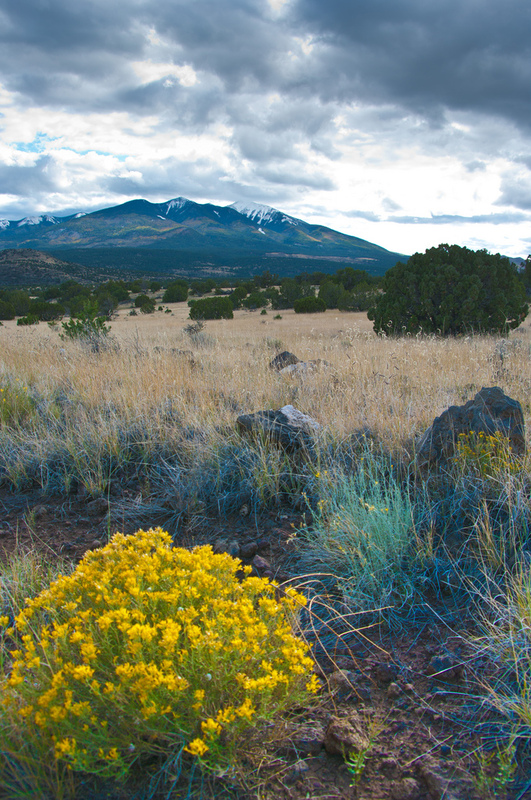 The route: A 64-mile trip across the Colorado/New Mexico Border. 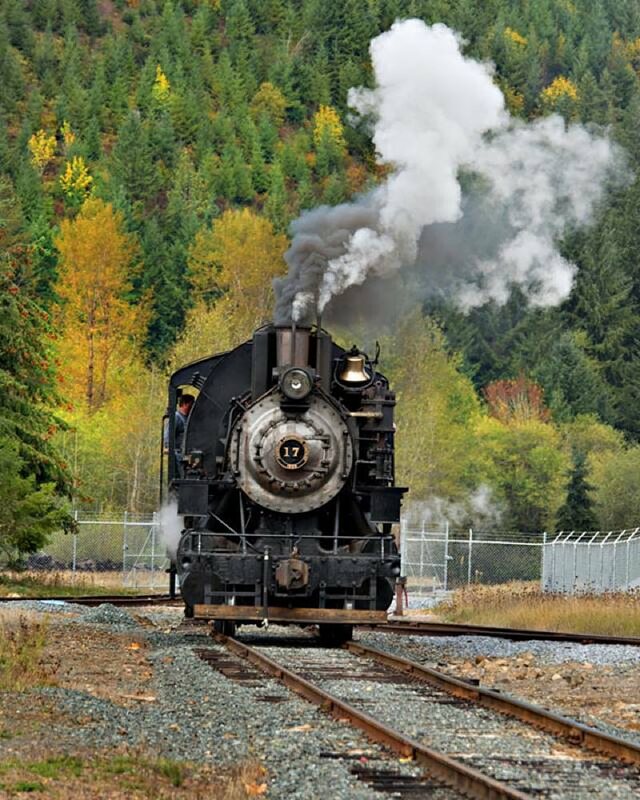 The route: A two-hour train ride from Elbe through forest and across Upper Nisqually River to Mineral, Washington. 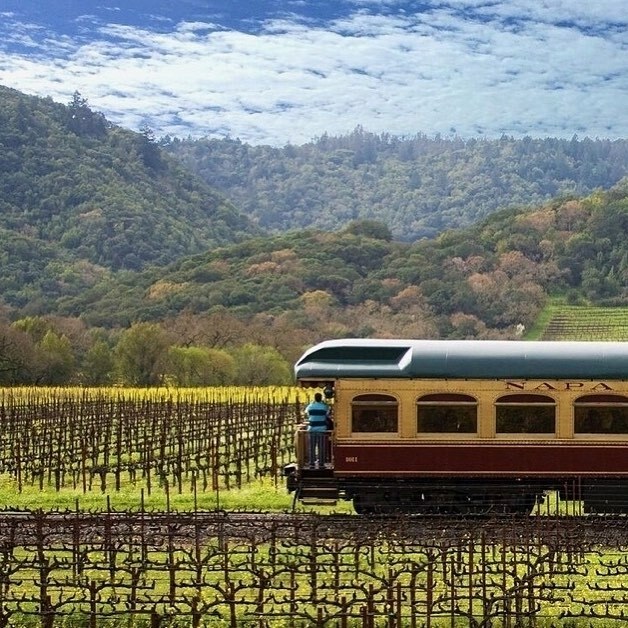 The route: A 36-mile round trip ride from Napa Valley to St. Helens and back through the best wine country has to offer. The cost: Prices vary, but a lunch and a tour of a Napa Valley castle for $266 per person seems pretty perfect for fall. 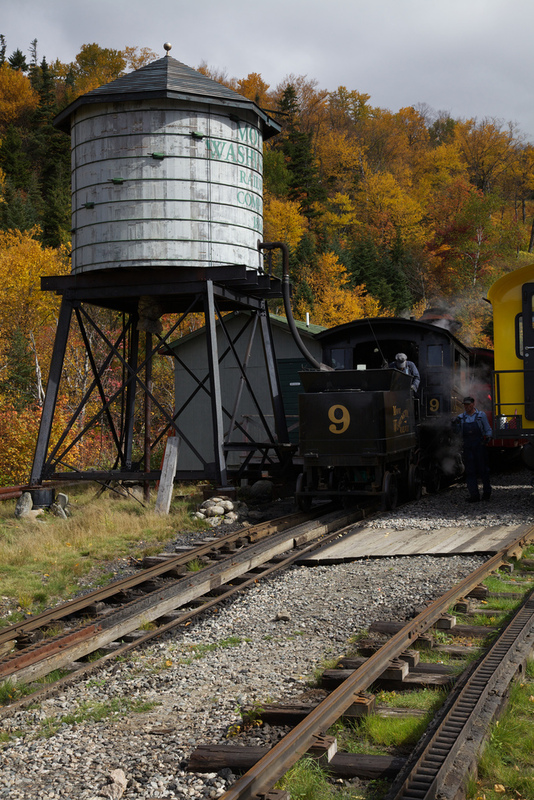 The route: A three-hour train ride up & down the tallest peak in New Hampshire, Mount Washington. 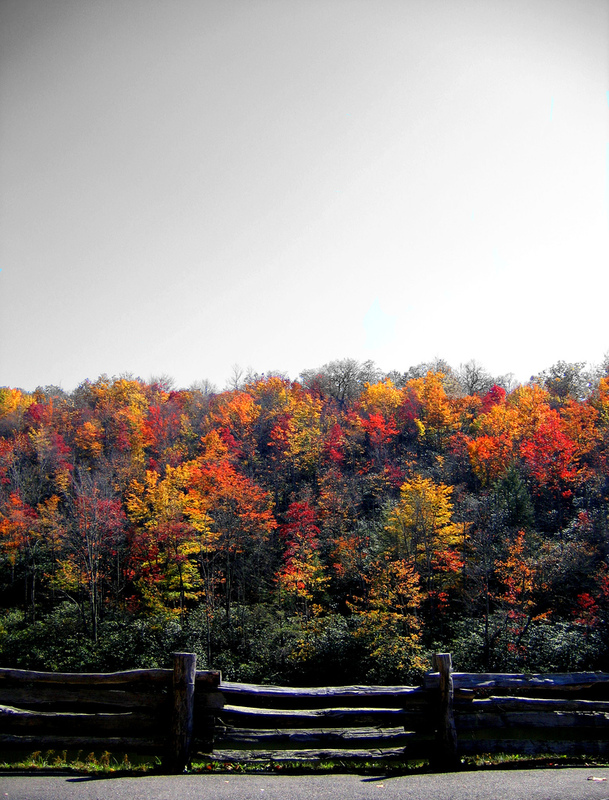 Fall events: No, just gorgeous fall colors.